Please read the original post published on iCrossing’s The Content Lab, published August 22, 2012. Infographics have become so popular that we’ve “tumbled headlong in the era of infographics” (in the words of one pundit), making it more difficult for creators of infographics to capture your attention in the cluttered digital world. To be sure, infographics, when done well, continue to help companies build connected brands via visual storytelling. You just need to work harder to make sure your clients notice your work. 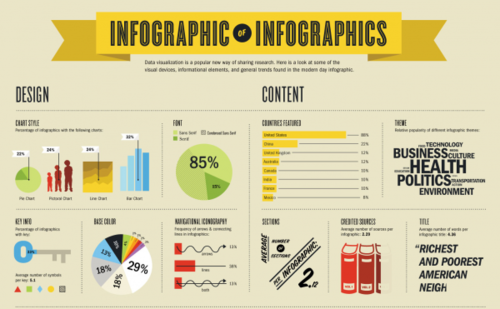 Here are six ways to maximize the visibility of an infographic when it’s launched. iCrossing talks a lot about optimizing your content for search. That same mentality applies when creating your infographic. Strong headlines and killer statistics will make your infographic more visible. Before launching your infographic, make sure the content is written in a way that makes you excited about it and makes you want to read it. Those basics tenets lay the groundwork for a visible infographic.